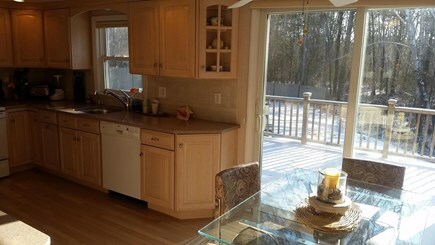 Updated Kitchen with sliding door to large back deck and yard. 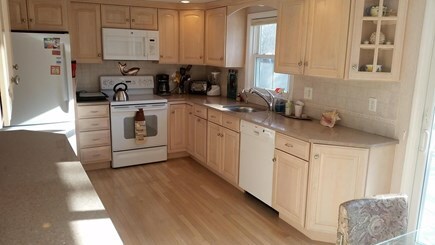 Different view of updated fully furnished kitchen. Theater with smart Rocu tvTheater with smart roku tv! 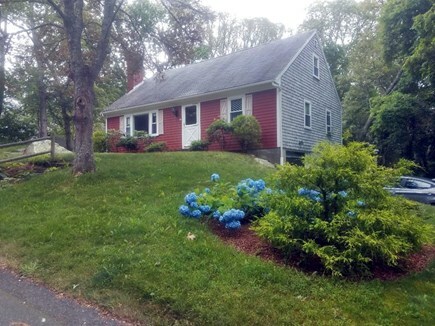 Beautiful Cape House located .03 mile walk or ride to Old Silver Beach and Shining Sea Bike Path in gorgeous Falmouth. Ferry to Martha's Vineyard, Nantucket and more. 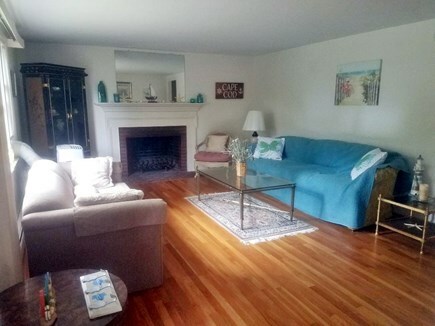 4 bedroom 2 bath, updated kitchen, fully furnished. 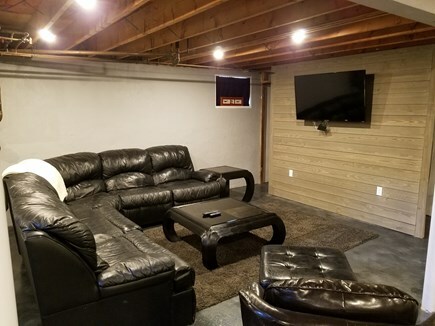 Entertainment area in basement with extra sleeping. 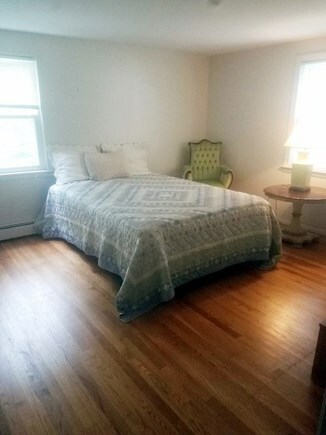 4 queen beds, 1 Twin with pull out trundle. 2 pull out sofas, crib for small child. New smart big screen TV. Internet, Cable Phone. 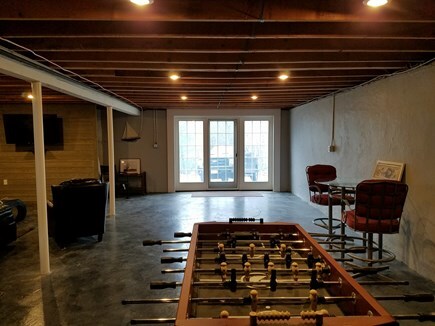 Bar/Theater foosball/ darts in newly remodeled basement. 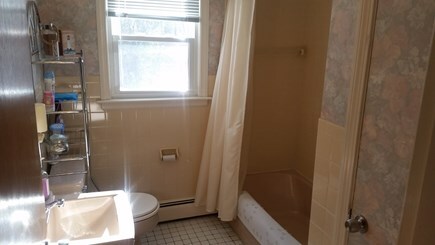 Outdoor shower, large deck, half acre yard in back fenced in for pets and children! Don't miss out on this one!! 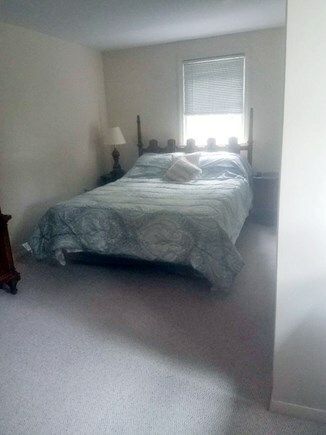 Long-Term Rental (1 month or more): Always available for rent. Prices according to season. 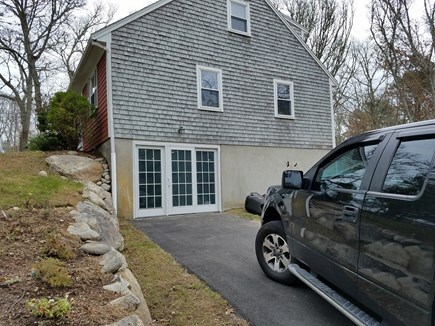 Winter $2400 month. Additional pricing info: Discount given for longer stays. We rent all year! !, State and local taxes of 12.45% will apply.